We commit a portion of each and every sale that we do back to the Community through park sponsorship, donations and charity support. We strongly feel that a healthy Community is a healthy City. Even though we are quite involved with the Community, we still have plenty of time to be dedicated to your home purchase or sale as if you are our only client. Rotary - Geoff is a proud board member, and current Past President for 2015/16 of the Winnipeg East Am Rotary Club. They meet every Wednesday morning at 7:15am at the Cavalier Hotel on Regent Ave and Panet Rd. Geoff also served as President for 2011/2012 year. The Club supports many worthwhile projects locally, nationally and internationally. One of our club's main fundraisers is our annual golf tournament at Elmhurst Golf and Country Club. Geoff is on this committee, and in the past 8 years, we have been able to raise over $70,000 to support the Keep them in School Foundation to help students in the RETSD with their post secondary education and also raised a further $50,000 for local projects. We have been major sponsors of this tournament. Queen's Diamond Jubilee Medal - In January 2013, Geoff was awarded the Medal, a new commemorative medal created to mark the 2012 celebrations of the 60th anniversary of Her Majesty Queen Elizabeth II’s accession to the Throne as Queen of Canada. The Queen Elizabeth II Diamond Jubilee Medal is a tangible way for Canada to honour Her Majesty for her service to this country. At the same time, it serves to honour significant contributions and achievements by Canadians. Geoff was honored to receive this medal from Elmwood-Transcona MP Lawrence Toet and recognizes Regan and their kids for their support. North End Family Centre - The North End Family Centre is a relatively new community gathering place that provides a comfortable and safe environment for community members to connect and belong that was started in 2009. All of their programs are completely free, to help make it easier for individuals and family members. They also have a professional pastoral staff available for support and encouragement. We have been regular Gold sponsors at their annual Fall supper and have also supported them through our Rotary club as well. We see how they have been able to help so many people in the area in such a short period of time, we look forward to supporting them for years to come. Geoff also sat on the board of directors from 2014-2016. NEFC moved into it's new location at 1344 Main Street that was made possible through Geoff's contacts. This new building will triple the space of the centre allowing them to help more people in the neighbourhood.The new building will be named "Archambault Building" because of our support and sponsorship of the North End Family Centre. During the Christmas 2012 season, we supplied the Centre with 100 Christmas Hampers to give out to families in need that use the services of the Centre. Transcona Nationals Football Club - We have become Major Sponsors of the Transcona Nationals, where our Son, Zach, played football for 6 years. As of 2011, the main field was named "Archambault Field" in recognition of our efforts and support of the football club. We are very pleased to play a major role with this organization as we have been very impressed on how well the organization is run. Regan is a past Board member of the Transcona Nationals Football Club and was in charge of merchandise sales. Geoff is proud to be Chair of Kenya Inititiave for Development & Sustainability (K.I.D.S) www.KIDSInitiative.ca since it's inception in 2010. Geoff, Regan and their kids Zach & Abby, traveled to the field in January 2016 to disperse funds to our programs as well as to report back first hand to our donors on what KIDS has been able to accomplish. KIDS is a registered charity and our mission is to build Children's futures globally while inspiring Children locally. We hope to inspire local Children to raise funds for and to travel to Kenya. Kenya has been severely affected by drought and extreme poverty which seriously impacted the future of Kenya's children. Child deaths, injuries, malnutrition, lack of education and displacement are some of the many issues Kenya has dealt with. Regan (left) and Geoff Archambault are donating $120,000 of their own money to make improvements to Archambault Park, formerly Harbour View South Park. Geoff and Regan Archambault saw a need in their community, and decided to do something about it. "We always feel a need to give back to the community," Geoff said. "A park is a great place for families to meet and have fun." The Archambaults have committed $120,000 of their own money to improve Harbour View South Park at the corner of Rutledge Crescent and McLellan Drive. The city is contributing $25,000 while the province will provide an additional $30,000. Improvements will include a picnic shelter, play structure for younger kids, new benches, 35 new trees, and improved drainage in the swing area. Work on the project is expected to start in September or October. "We’re trying to make it more age-friendly. Right now it’s geared towards kids aged six to 12," Regan said. The park was renamed Archambault Park in June to recognize the family’s contributions to the project. To celebrate the upcoming renovations, the Archambaults staged a movie screening on July 23. According to Geoff, 250 residents from the community came out to enjoy the day, which concluded with a screening of Rio. Area resident Reid Kenyon took in the event, and said the Archambaults are making a much-needed contribution to the community. "The parks in our area are outdated and in desperate need of a facelift," Kenyon said. "The investment they are providing in improving our parks will enhance the quality of life." In addition to donating the money to improve the park in Harbour View South, the Archambaults also plan donate $30,000 to upgrade Sunrise Park, located down the street on Shauna Way. The Sunrise Park upgrade will also receive $20,000 from the city and $10,000 from the Rotary Club of Winnipeg East AM, which Geoff currently serves as president of. "You can’t wait for someone else to do it," Regan said. "When you see the need and have the means, you should do it." The couple is hoping that the renovations will entice more people to get outside and enjoy the parks in their neighbourhood. "It is very important to have parks and recreational offerings for our kids close to home," Kenyon said. "Families will want to spend time together at these parks." The Geoff & Regan Archambault Scholarship - River East Transcona School Division - Since 2009, each year we offer 3 scholarships to the 3 EK/NK high schools Miles MacDonell, River East and Kildonan East. The recepient is a student who has given back to the Community by giving their time, raising funds, and doing anything good for the Community. We feel that a strong Community makes for a strong City, and feel it is important to recognize the students who have done good for their school and Community as a whole. Valley Gardens Community Centre - Geoff is currenty on the executive as Treasurer but has held other positions in the past such as fundraising chair as well as special projects. We have been able to bring some talented and committed board members to the table and change the direction of the club. Some new initiatives brought forward in 2015 is online registration and a new website, new signage throughout the club and grounds, secured $300,000+ for renovations of our fields, diamonds and rinks, planned renovation of our bathrooms, locker rooms being painted and the planned painting of the rest of the interior by volunteers, first outdoor hockey tournament being held in years, bingo to raise funds for the centre, new exciting changes to the canteen, plus the hiring of a full time General Manager to oversee all aspects of running the club and making it busy and profitable to be able to provide for the community for years to come. Also working on a business plan to make sure that we are moving in the right direction and to look at the possibility to expand or relocate to eventually take over the Terry Sawchuk arena. Real estate agent Geoff Archambault is one of three business owners to contribute. A trio of area businesses are paying it forward by making significant contributions to the Transcona Centennial Square project. The Transcona Business Improvement Zone recently announced that three local businesses contributed $245,000 towards the $2.4 million cost of the project, which is aimed at recognizing the neighbourhood’s 100th anniversary. 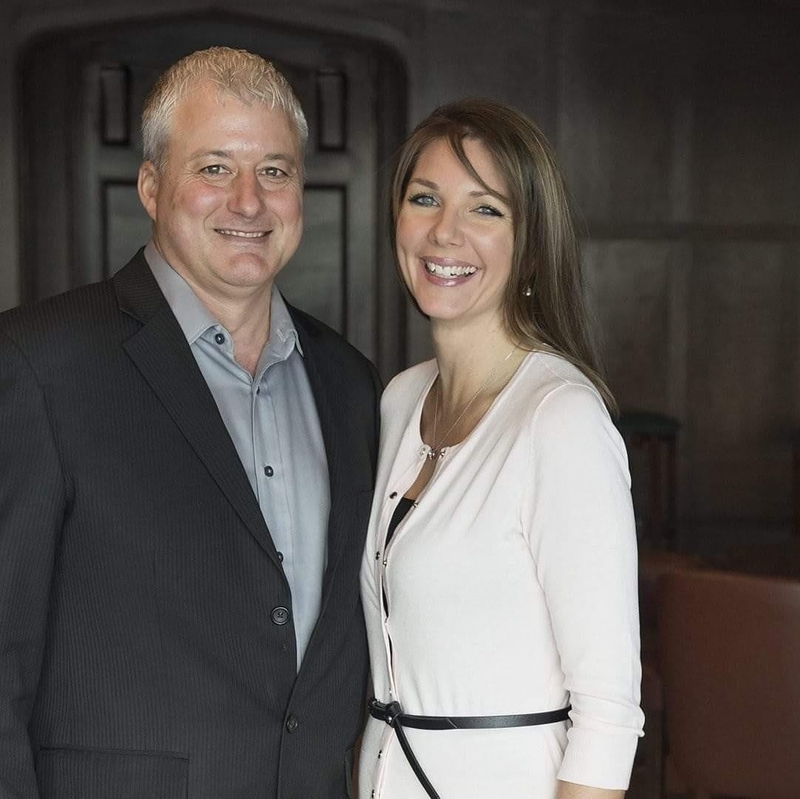 The three businesses include Geoff and Regan Archambault of Century 21 Realty, Wyatt Dowling Insurance and New Flyer Industries. The contributions were part of a major fundraising campaign undertaken by the Transcona BIZ . BIZ executive director Wendy Galagan said the private sector contributions were welcome additions. The Archambaults’ contribution will go to toward the cost of a performance pavilion while Wyatt Dowling’s will be used for a community wall of fame. New Flyer’s funding will be used for the Peace Water Fountain. Regan Archambault said it was important for she and her husband to contribute to the community that has supported their business over the years. "We’ve been involved in the community for quite some time," she said. "When we were approached with this sponsorship opportunity we were quite happy to get on board with this because it will definitely be an asset to the area and we can’t wait to see it come to life." Wyatt Dowling president Curtis Wyatt said the decision to contribute to the project was a no-brainer since his father started his insurance business in Transcona 40 years ago. "Our business was founded 40 years ago directly across the street from the new Transcona Square," he said. "We’ve remained in this community since then and it seemed only natural to continue to create a safe environment for families to go and enjoy the outdoors as a long standing part of this community." Galagan said the Centennial Square project will have a lasting impact on the community. "It will be a community gathering site with year-round programming that will offer a location for the business community, residents, organizations and associations to meet and gather to celebrate the community," she said. Childrens Wish of Manitoba/Nunavut Chapter - www.ChildrensWish.ca - Geoff was on the advisory board of the Children's Wish Foundation for 3 years. Geoff was pleased to be on the orgainizing committee for The Children's Wish 3rd Annual Tee-Off for a Wish which was held at Elmhurst Golf & Country Club. We have supported many of their fundraisers throughout the year, particularly the annual Shiver Ball, as Geoff was on the Shiver Ball Committee. Transcona Playground Renewal Association - Because of our work with the Association in the past with the redevelopment of Archambault Park and the plans for Sunrise Park, this great organization has asked Regan to join the Board to help bring more parks in Transcona to life. Transcona Historical Museum - Regan is on the Board of the museum which showcases the rich history of Transcona. The museum has had it's funding reduced by the City of Winnipeg, so Regan is spear heading a fundraising committee to raise additional funds to keep the Museum open, fresh and vibrant. Springfield Heights Elementary School - Regan worked hard over 3 years chairing a committee to "Green" the playground at Springfield Heights School in North Kildonan. This project has involved planting of 25 new trees, adding much needed shade for the children while they play. It also has added a sharing garden where the kids plant vegetables and share them with the local food bank in the area. There is also a new scensory garden and a butterfly garden where the kids are involved with maintaining and learning about nature. We also have a new play structure going in and a wheelchair accessible outdoor classroom for the teachers to take the kids outside to learn. CNIB Dine in the Dark Committee - The first Dine in the Dark took place at Assiniboia Downs in 2012, and has been a great success every year. Not only does this event raise much needed funds for CNIB, but it also raises awareness for the many diseases that can affect our sight. At the dinner, guests are asked to put on blindfolds and to eat in the dark, to get the feeling of eating while blind. It is a huge eye opener for many. Winnipeg Humane Sociey and Winnipeg Animal Services - We sponsor a kennel at WAS where they have been very successful in returning numerous dogs back to their owners with the new licensing program. They have also been able to adopt out many of the other dogs who need a permanent home. Our Rotary club also sponsors one as well. At the WHS, we sponsor a cat condo room. These rooms house cats up for adoption and gives them some room to play while they are waiting, and also allows people to go and visit with the cats before deciding if they are a good fit for each other. CancerCare Manitoba - Geoff has volunteered over 500 hours at their McCharles location in the Health Sciences Centre complex by acting as a "runner" delivering samples and supporting the staff. We have also donated over $25,000 to aid in Cancer research through promotions from our sales. Big Brothers of Winnipeg - Geoff was a little brother when he was growing up and remained friends with his big brother until his recent passing. He is also very proud to be the official spokesperson for the 2011 fall recruitmant campaign with radio commercials running on 1290 sports Radio. There are normally about 100 boys on the waiting list for a Big Brother. We were also the major sponsors for their 2011 Christmas auction with Hustler & Lawless on 1290 Sports Radio. Though not a charity, Regan has been actively involved with the political action committees at all 3 levels with our Winnipeg Realtors Association, Manitoba Real Estate Association as well as the Canadian Real Estate Associations. Consumer protection is the biggest push at all 3 levels to help ensure that our clients best interests are looked after.